How do I find out if the playing fields are closed? What programs do you offer for adults and/or children? Where are the parks located in Douglasville? Does Douglasville Parks & Recreation have facilities available to rent for special occasions? 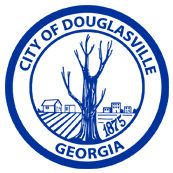 The mission of the City of Douglasville Parks and Recreation Department is to enhance the interaction of people and the environment in a manner in which is pleasing to all. To provide recreation opportunities to effectively meet and serve the needs of our constituents, the citizens of Douglasville, and those who interact with the Parks system.